“I think supporting girls and women’s organizations is the greatest hope we have for worldwide transformative change – and my philanthropic choices are grounded in that belief,” said celebrity and activist Emma Watson, at a convening on July 10 in London, sponsored by NoVo Foundation, Oak Foundation, Unbound Philanthropy and Ariadne. Watson chaired the opening session of From Violence to a Place of Power: A Funder Convening on Movement Building to End Sexual Violence. The convening was facilitated by Jude Kelly, and explored the many ways that philanthropy can increase its support for ending gender-based violence. 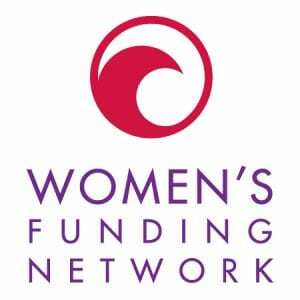 The conversation in London was a “deepening” of an earlier convening held in April in New York, which brought together U.S.-based funders on the subject. In London, the goal was to examine the UK and European context for the movement to end violence against women and girls. The day-long convening examined the fact that gender equality advocates face growing threats to their work and require more resources to preserve the gains women have already made, and move toward Sustainable Development Goal Number 5: the attainment of global gender equality. 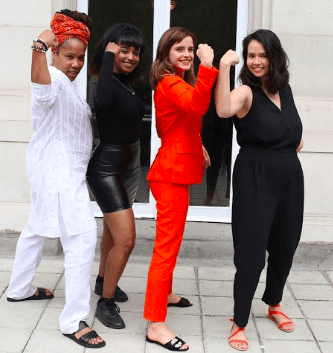 Watson joined activists Nasra Ayub (Integrate UK), Marai Larasi (Imkaan), and Devi Leiper O’Malley (FRIDA–The Young Feminist Fund), all of whom spoke about the urgent need for funders and donors to hand over control to gender equality movement leaders and give them ongoing financial support to continue their work. Emma Watson’s giving provides a strong model for other funders to follow. She currently funds more than thirty organizations in the equality and women’s rights space, both in the UK and globally. In the past 12 months alone, Watson has donated $5 million to gender equality philanthropy. Part of this $5 million went to support the Justice and Equality Fund, which is hosted by Rosa, the UK’s leading women’s fund. The conference also examined austerity in Britain, which has been cutting back funding for women and girls surviving violence since 2011, with a 31% reduction in funding for gender-based violence prevention from 2011 to 2012. Another panel discussed the rise of authoritarianism across Europe, with panelists representing Bulgaria, Poland, Ireland, and migrant women. “We are witnessing growing and strong opposition to women’s rights across Europe — and to civil society as a whole,” said Gergana Kutseva of the Bulgarian Fund for Women. The takeaway for funders: fighting gender-based violence should be a top priority for many more in philanthropy.